Some Windows 10 Pro users are grappling with a mysterious bug that is deactivating licenses and downgrading them to Windows 10 Home. Feedback from Reddit seems to indicate that the issue is largely affecting users that upgraded to Windows 10 Pro from a Windows 7 Ultimate or Windows 8.1 Pro installation as part of the free upgrade program years ago. Aside from an annoying watermark, the issue doesn’t seem to be causing any major issues at the moment. The best course of action, as Microsoft has suggested, is to simply wait until a fix is ready. At that time, I suspect the issue will automatically work itself out and everyone will be able to move on. This is the latest in a string of bugs causing headaches for Microsoft. 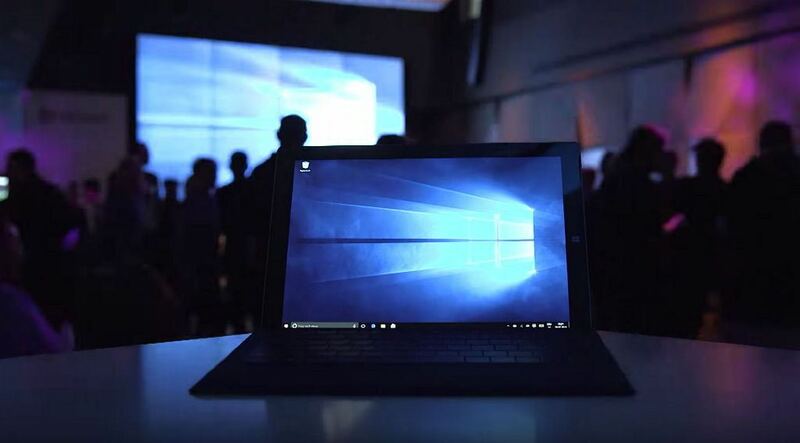 In October, the tech giant paused the rollout of Windows 10 October 2018 Update (version 1809) due to a file deletion bug. A security update earlier this year caused issues with USB and onboard devices. Yuuuuuuuuuuuup I noticed it today. Windows 7 Pro key > installed Windows 10 Pro over 2 years ago. Troubleshooter now claims my main system only has a Home license. Classic Microsoft. Yep, got to work this morning, and after reading this article, quickly checked my workstation and behold......I need to connect to the Internet to activate windows. I recently migrated my home computers back to Windows 7 and haven't looked back. Hopefully Microsoft will fix this quickly, as I could see this getting ugly for businesses. I did a clean install with a generic pro key, and then bought the license via the MS store. I did not upgrade for free from any other version and am having this issue. The issue is their current string of exposed ineptness, not anything users have done. Eh I guess if u have a legit key around use a kms activator. honestly even if you don't I don't really care. if there's anything microsoft doesn't deserve money for windows 10 is definitely on the top of the list lol. such a trash operating system that needs literal hours of tweaking in order for it to run properly and to not be staring at your *** the whole time you're on the computer. you know windows 10 has hidden registry settings that are set improperly by microsoft that hinders gaming/overall performance? among other things? jesus christ....the amount of tweaking and modding of **** I have to do the this OS. garbage lol. Happened to my desktop PC this morning. It was a custom-built PC and came with Windows 8.1 Pro originally. Upgraded to Windows 10 Pro a few years ago. Then last month, I just installed a new SSD and cloned my system disk to it, so I was wondering if it was the issue. I guess not. Hopefully Microsoft resolves this soon. So far my laptop, my desktop, & my wife's work Surface Pro 4 are 100% unaffected by it. It may trigger at the next license check-in. Several new loads at work have been affected an a dozen or so machines on the floor. Never got the issue or any of the others. I upgraded from 7 pro to 10 pro. No issues at all. MS already has fixed for the issue. Its all fine this morning, just run your activation again. Another example as to why automatic updates need an option to easily be turned off. I have a custom built PC with a full install of 10 Pro. I haven't turned it on for a several weeks. I only use it if I want to play a game or minor things. I won't be firing it up anytime soon. I suspect that because it isn't an upgrade, I should be fine, though. such a trash operating system that needs literal hours of tweaking in order for it to run properly and to not be staring at your *** the whole time you're on the computer. Windows as a service is the dumbest thing Microsoft has ever tried. The previous model of periodic service packs worked and were usually well tested. Services break websites not your PC. An OS as a service breaks PC's. You cannot update an OS every six months and expect no problems. We have no choice but to have an installed Pro version and delay feature updates due to Microsoft's blunders. I couldn't imagine any business not baking in this delay in all of their installs. It's the only prudent thing to do. Is Microsoft working on a software center for Windows?